Martin Tuchman School of Management launched a new M.S. concentration in FinTech this past spring, and beginning next year it will also be offered to students in China through a special partnership with Taizhou University. Financial technology (FinTech) is a rapidly growing subsector of the financial services industry that applies software tools, networking, user experience, interface platforms, and modern modeling and analytical techniques to improve efficiency and deployment of traditional financial services. To educate students in FinTech and better prepare them for an ever-evolving financial world, NJIT’s Martin Tuchman School of Management (MTSM) launched a new M.S. concentration in FinTech this past spring. It is the first such program in New Jersey, and beginning next year it will also be offered to students in China through a special partnership with Taizhou University. NJIT faculty will teach four courses to qualified applicants at Taizhou University during the summer. The students will then complete their FinTech studies at NJIT. The Taizhou government, also part of the agreement, will help promote the program and provide some funding for recruitment. The initiative will help MTSM introduce graduate students to its new Ph.D. program in business data science, as well as fully utilize both its Ray Cassetta Financial Analysis Laboratory and Business Analytics and Data Sciences Laboratory. Zhipeng Yan, MTSM associate professor of finance and associate dean for research and international programs, with statistical arbitrage and investment banking experience in the U.S. and China, respectively, facilitated the partnership. Here, he discusses FinTech, the partnership and what the future holds for finance professionals. What impact is FinTech having on the financial services industry? The rapid increase in the quantity, variety and availability of new data and information sources has fundamentally changed legacy business practices in the financial services industry. New financial technologies are emerging to make better sense of all the data. They include, but are not limited to, crypto-currencies — e.g., bitcoin — blockchain, cloud computing, retail banking automation, machine learning and deep learning, automated investment advisement, algorithmic trading, and risk management framework development and associated visualization tools. How has Fintech affected the workforce in particular? 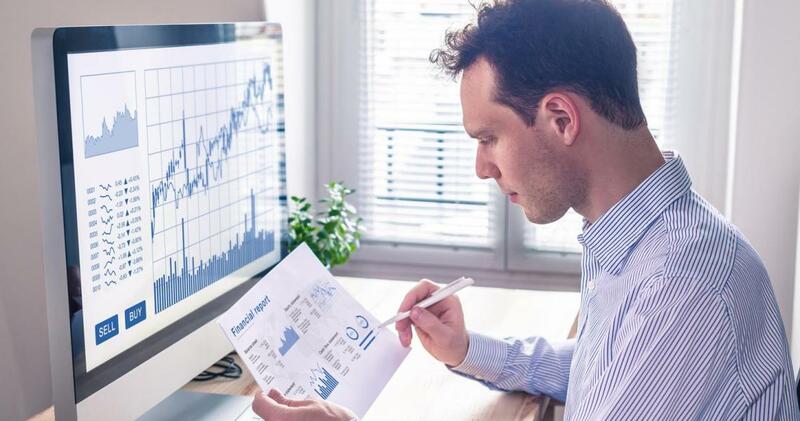 Big data has created an increasing market need for talent that uses new technologies and innovations to understand hidden patterns in investor habits and market behaviors, and can assist managers in making informed data-driven decisions. The requisite skillset required to process and analyze such information has resulted in considerable demand for staff with software development, mathematical and statistical modeling, and practical problem-solving expertise. Why have NJIT and Taizhou University chosen to partner on this initiative, and how do they complement one another to offer students a comprehensive program? Taizhou City is the only national financial reform pilot zone in JiangSu Province, and the first financial reform pilot zone in China to support the transformation and upgrading of industries. MTSM initiated a new M.S. concentration in FinTech. Both parties, together with Taizhou University, believe that to offer such a degree to students from Taizhou will benefit Taizhou and NJIT. Students who are interested in applying modern tools to improve financial activities, and design new applications, processes, products or business models related to financial services. Typically, students who undertake the FinTech concentration have obtained undergraduate degrees in engineering, technology, finance or the applied sciences and are seeking a career focused on applying technical tools for the development of new financial services. What experience and knowledge do you bring to the program? Before joining NJIT, I worked at Millennium Partners LLP, a major hedge fund in New York. I also worked as the CIO of Everbright Futures Co. Ltd., China, and the general manager of Orange Asset Management, China. My primary research interest is in investments and behavioral finance, and my research covers topics relating to insider trading, short selling activity and price efficiency, trading strategies arising from financial market anomalies, and corporate governance. What does the future hold for professionals with Fintech expertise? In the foreseeable future, the demand for talent in FinTech will be huge. There are various career paths one may pursue after completing the FinTech concentration — in particular, finance, technology and entrepreneurship such as investment banking, international finance, commercial banking, sales and trading, information technology, social entrepreneurship, etc. Graduates may also work for FinTech startups, which concentrate in cryptocurrency management and trading, blockchain technologies including smart contracts, open banking, insurtech, Robo-advisement, machine learning and data mining applications, and cybersecurity. Some may work for traditional financial services companies, which are in need of staff with technical skillsets to improve existing business practices and/or develop new processes related to technological innovations.